Hafız Gaye Erkan graduated from Boğaziçi University Industrial Engineering Department with honors. After graduation, Erkan was offered scholarships from nine major colleges including Stanford, Princeton, Boston, Cornell, and California and she choose to attend Princeton. Erkan did her doctorate on financial engineering. She completed the doctoral program in one year and she changed the rule of Princeton’s 246 years of history. She was the first student in Princeton’s history to complete her PhD one year. She once held the title of America’s youngest finance professor. Erkan also changed the graduation system in the centuries-old history of the university management, taking the 2-2.5 year graduation requirement down to 1 year. Gaye joined First Republic in 2014 as Senior Vice President, Chief Investment Officer and Co-Chief Risk Officer. As Co-Chief Risk Officer, she led the design and implementation of a holistic and customized enterprise risk management framework and program in 2015. She also oversees First Republic’s banking activities in the Boston and Portland regions. With extensive expertise in investment strategies and quantitative risk modeling, she has been responsible for managing the Bank’s investment portfolio and for all of the bank’s deposit gathering franchise, including preferred banking offices, private banking, business banking, wealth management and client services. Prior to joining First Republic, Gaye was the Managing Director and Head of Financial Institutions Group Analytics and Strategies for Goldman Sachs, primarily focusing on balance sheet optimization, restructurings and risk management for financial institutions including banks, insurance companies, asset managers and other specialty finance firms. She also developed balance sheet models to assist financial institutions with valuations and risk assessments in the context of M&A. Gaye worked closely with Boards of Directors and senior management of banks in the context of stress testing, asset liability management, capital advisory, liquidity adequacy assessment and balance sheet decisions. In light of developments in the regulatory, accounting and market environment, she also provided clients with innovative financing, capital and risk management solutions across a wide spectrum of products including equity and debt capital markets, asset side restructurings as well as equity, rate and FX derivatives. She joined Goldman Sachs in 2005 as an associate and was named Managing Director in 2011. 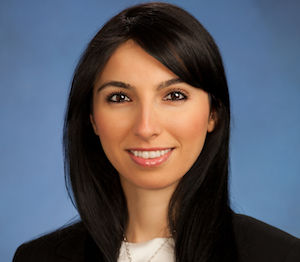 Erkan earned a PhD in Operations Research and Financial Engineering from Princeton University and a Bachelor of Science degree from Bogazici University in Turkey, where she was valedictorian. While at Princeton, Erkan received a National Science Foundation grant, Excellence in Teaching awards, and has authored several white papers on risk management. Gaye is a member of the Sigma Xi Honor Society.